Be assured from this story that God is interested in us no matter what our condition. He hears beyond the noise of society to the cries of our heart. Nothing can keep us from Jesus. We can bring all our issues to Him. Out of profound gratitude, we follow Jesus. You see, it’s not complicated. God desires to hear what’s really on our hearts. Nothing is too big or too small. Bartimaeus was not theologically trained, but he acted on his faith and courage. 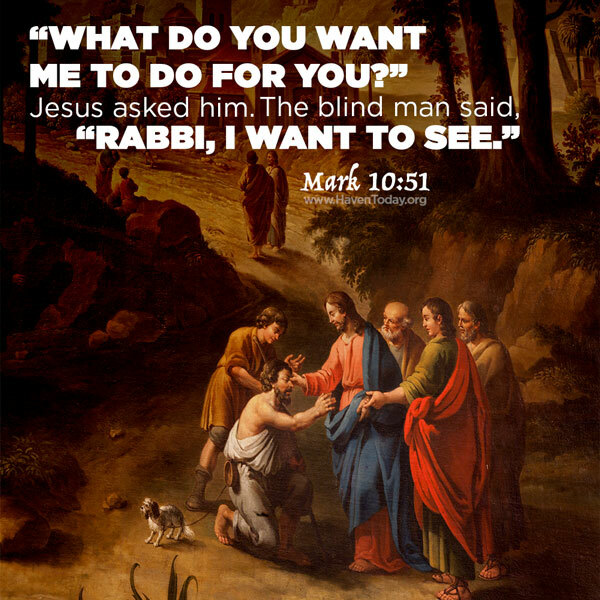 And just imagine: When his eyes were opened, what is the first thing Bartimaeus saw? Jesus! Never underestimate the compassion of Jesus to walk through life with you.